Ambanis would hog limelight all the time ~ Anil Ambani profusely thanking elder brother and India's richest man Mukesh Ambani for his "timely support" is hitting headline news ! செந்நாப்போதாரின் திருக்குறளில் சுற்றந்தழால் ஒரு அதிகாரம். திருவள்ளுவர் உறவு மேம்படுதலைச் சிறப்பாக சொல்கிறார். Life changes in fast lane… a couple of decades ago, there weren’t so many TV chalnnels, there was clamour for TV advertisements…. 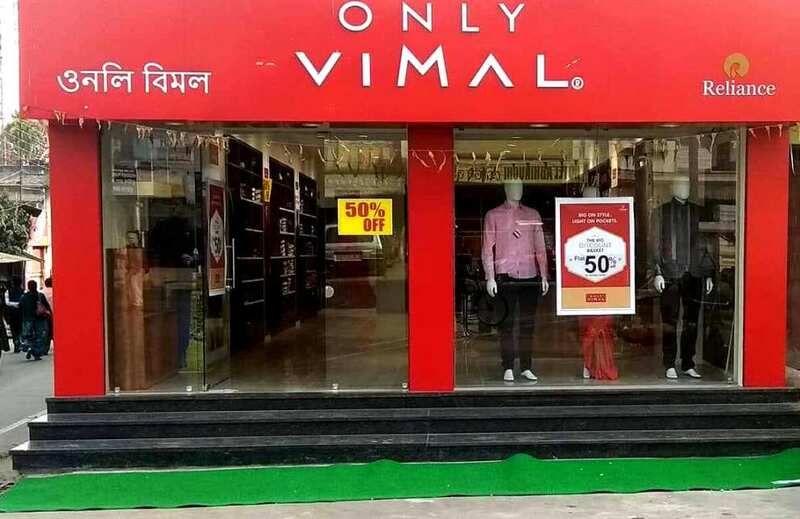 Rasna was the top brand… ‘Only Vimal’ ruled the textiles…………. Those days they roped in famous cricketers like Ravi Shastri, Viv Richards and Alan Border. Reliance forayed in to textiles and marketed its brand in a very big way with sophisticated, catchy and trendy advertising…. Occupying so much of airtime…. The phrase ‘Only Vimal’………… ‘the looks of a winner’ – was hoisted to fame….. Does looks have to do anything with the win ? and should a winner be really good looking ?? There is a much hyped cliché – especially in media – when it comes to common man’s suffering – that Govt takes care of ‘Ambanis & Adanis’ only .. trying to blame the Govt being pro-rich. Immediately after demonetisation, it was hyped that people suffered standing in queues – and in Tamil TV channels, in Discussion Forums, one heard comrades asking typically - are Adanis & Ambanis standing in the Queue for exchange ?~ nothing can be misleading and farther from truth. Did you ever see any rich person whom you knew or think of – those owning cement factories, TV channels, doing arrack business – did any of them stand in queues ! – but why the bias !! Dhirajlal "Dhirubhai" Hirachand Ambani (1932 – 2002) was a great business tycoon. His Reliance Industries took him to the top. He appeared in The Sunday Times top 50 businessmen in Asia. Ambani took Reliance Industries public in 1977 and by 2002, when Dhirubhai Ambani died the combined fortune of the family was $6 billion. .. .. .. after his death, there was to be a family feud. The younger one - Anil Dhirubhai Ambani was listed by Forbes in 2008 as the world's sixth-wealthiest person. Eleven years later, the 59-year-old was fighting to save his reputation and a possible jail sentence. An appellate tribunal recently refused to direct State Bank of India and other lenders to Reliance Communications to release Rs 260 cr of tax refunds, held in a trust fund, a sum needed to pay the firm's dues to Ericsson. The court’s decision came after a tough year for Ambani, as he saw his empire crumbling to a brutal war in the telecommunications market triggered by the entry of his elder brother Mukesh Ambani – jail sentence was looming large. .. but there was a huge turn-around. Almost a decade and a half after a bitter separation, Mukesh Ambani on Monday stepped in to save younger brother Anil from prison by helping him clear the ₹453 crore Reliance Communications owed Ericsson. The SC had on February 20 said failure to pay the Swedish telecom major its dues within four weeks would land Anil, who’s chairman of the beleaguered RCom, in jail for three months. While the divergence in fortunes of the two brothers since the split has been evident to the world for many years now, it was underlined in the starkest possible terms yet by Anil’s statement saying, “My sincere and heartfelt thanks to my respected elder brother, Mukesh, and Nita, for standing by me during these trying times, and demonstrating the importance of staying true to our strong family values by extending this timely support. 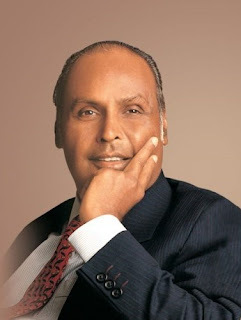 I and my family are grateful we have moved beyond the past, and are deeply touched with this gesture.”It also represents another milestone in the dramatic journey since Dhirubhai Ambani’s death in 2002 – of rancour and rift, a division in the Reliance empire, and estrangement, followed in the last few years by a thaw in relations and a degree of rapprochement, especially during the recent weddings of Mukesh and Nita Ambani’s daughter Isha and son Akash. There have been reports through the years of Dhirubhai’s wife Kokilaben’s keenness that the brothers patch up and that Mukesh extend Anil a helping hand. Indeed, the December 28, 2017, deal – on Dhirubhai’s 85th birth anniversary – under which Mukesh’s Jio was to buy about ₹23,000 crore of debt-laden RCom’s infrastructure assets (including spectrum and towers) – was widely seen as a form of bailout. But the deal ran into a number of hurdles, including objections from DoT, which RCom cited for its failure to pay Ericsson for its services.Asked if the money was in the form of a loan or an outright gift, or compensation for the deal falling through, a person in the Anil Ambani Group said, "Outright," before adding, "Mukesh and Nita have stepped up to the plate big time." Significance is being read into Anil's mention of Nita Ambani in his statement, and is thought to be an acknowledgement that such a bailout would not have been possible without her blessing. So happy times are here again for Anil Ambani ~ and why not, when one has a big famous rich brother like Mukesh Ambani .. ..
Now for those who without an iota truth allege that Modiji is funded by Adani &Ambani ~ fact would remain ever that DhirubhaiAmbani’s empire came into being much before Modiji’s regime – in fact it peaked through during Rajiv Gandhi’s Congress regime. In 1988, Reliance Industries came up against a rights issue regarding partly convertible debentures. It was rumoured that the company was making all efforts to ensure that their stock prices did not slide an inch. The actions of cartels brought great chaos in the market. BSE remained closed for 3 business days. People wondered how a yarn trader until a few years earlier, could assimilate such huge cash flow during crisis. There were NRI investment flow and there was no action by the Govt. While we fondly remember the 1987 World Cup, the first to be played in India, for the heroic comeback of sixer Sidhu, good knocks by Srikkanth, hat-trick by Chetan Sharma, Gavaskar’s only ODI century – failure of India and Pakistan to reach the finals and more – it was Reliance Cup – entirely sponsored by Ambhanis and the Prime Minister at that time was Mr Rajiv Gandhi. 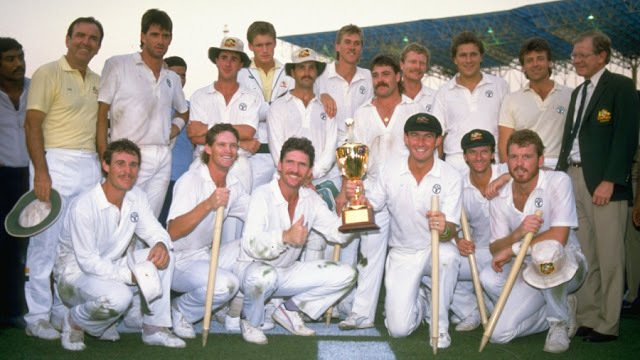 The cup was won by Alan Border's Australia beating England by 9 runs ~ that reverse sweep of Mike Gatting cost them ? Twitter was born this day ! 13 years ago !! pachyderm Vadakkanad Komban caught !! the first woman Chief Minister of Indian State ? Rajdhani Express ~ completes 50 years ! Novaya Zemlya in Russia invaded by Polar bears ! !